"Linus and Juicy" is back! 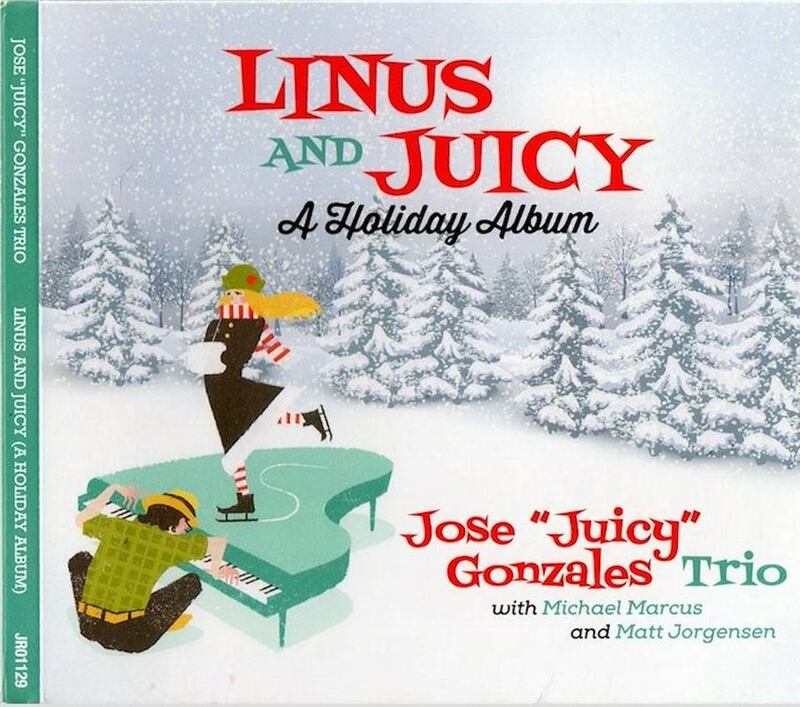 The Jose 'Juicy' Gonzales Trio returns to Strawberry Theatre Workshop for the jazziest Christmas party in Seattle. Groove to the fresh sounds of Vince Guaraldi's holiday classic, A Charlie Brown Christmas, played in its entirety. Now in its seventh year, Charlie has jammed its way onto the list of the region's most hip holiday traditions. Sip your cocktails at the Cornish Playhouse. Dress in your favorite jazz threads and step back into 1965, when the music was fly, and Snoopy was still just a drawing on the comics page. Featuring a silent auction of holiday gifts, and the uniquely fine chocolates of Meg Maggie Margaret. The Trio plays twice on Dec-8. The Main Event features a 6pm cocktail hour, two hours of music, a sales table of fine chocolates, and a silent auction. Earlier, the Trio plays a 1pm Matinee with a lower ticket price, discounts for youth, and a shorter set list for families who don't want to stay up late. Both events are at the Cornish Playhouse and both feature the brilliant grooves of Vince Guaraldi. This year, Strawshop is offering a limited number of reserved seats for the 6pm performance of "A Charlie Brown Christmas." Patrons holding Ringside VIP passes will enjoy these benefits. All proceeds to benefit Strawberry Theatre Workshop programs for 2020. ​*Ringside VIP entitles patrons to fast pass admission, reserved ringside seats, an exclusive VIP line at the bar, complimentary champagne, and a gift from Meg Maggie Margaret. For details click here.